Recently there was an OTN thread about invoking the EAS web console using different Java versions and it is a question that crops up time and time again. Tim German wrote an excellent blog outlining the problem and a possible workaround, now I don’t want to discredit the method that Tim proposed in any way as it perfectly fine but I use a different technique and wanted to share as the way I see it the more options available the better. 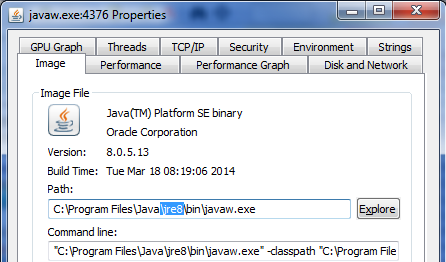 For many different reasons it is possible that multiple versions of a JRE are installed on a client machine and probably the main reason is various software applications support different versions of Java. It is possible to run multiple versions of Java without any issues but when using the EAS web console the user is usually forced down the route of the latest installed Java version being automatically invoked, yes it is possible to enable and disable the versions but sometimes this can be a pain when running multiple applications and in some cases an internal IT group policy will stop any changes being made in the Java control panel. 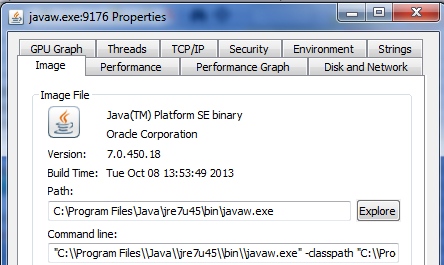 For example if I access the EAS web console then Java 8 which is not currently supported is automatically used as this is the latest version installed on my machine. In theory you might think that starting up EAS by specifying the version of Java first would help but when accessed the JNLP file controls which version of Java will be invoked. So in my case Java 8 is invoked for running the EAS web console. To get around this I use the following method which seems to work well for me. First I want to download the JNLP to my machine instead of calling it each time from the EAS server where you have no control over it. 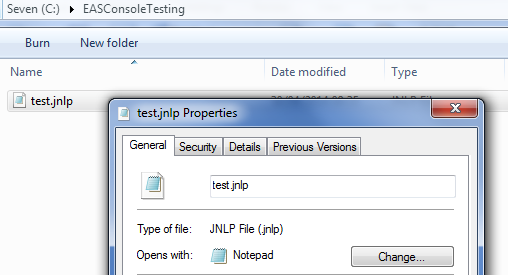 I create a test file with a jnlp extension and if you take a look at the properties you will notice by default it will open using Java Web Start Launcher. I updated the property so it opens using notepad. 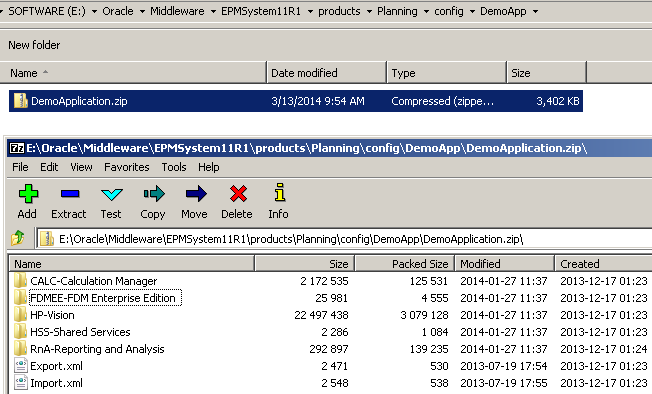 Now when I access the EAS web console the JNLP file is downloaded and I can it to my desktop. 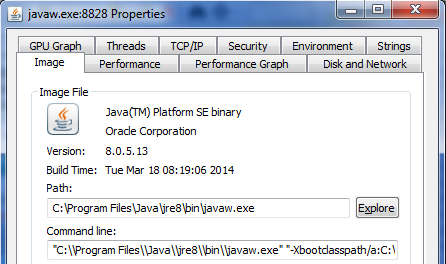 Once the jnlp file has been downloaded the property can be set back to opening with Java Web Start Launcher. 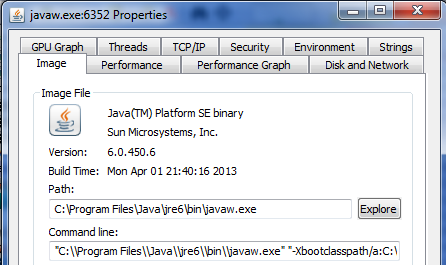 Then to start EAS I used the following syntax which runs Java Web Start 6 and also calls the updated JNLP file. Taking a look at the Java Console and the properties of the Java process which EAS is running against it clearly indicates that Java 6 is correctly being used. 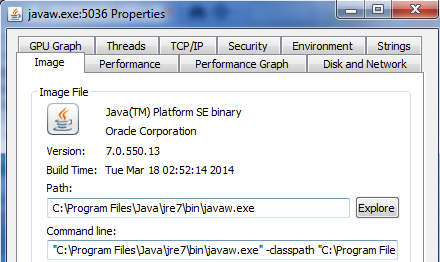 Once again looking at the properties confirms the correct version of Java is being used. It is also possible to target an exact update version so in my case I have both Java 7 update 45 and 55 installed but I want to open EAS using update 45. The command to run is exactly using the same format. The correct version of Java being run is confirmed. So that is my take on running EAS web console using different Java versions, enjoy! 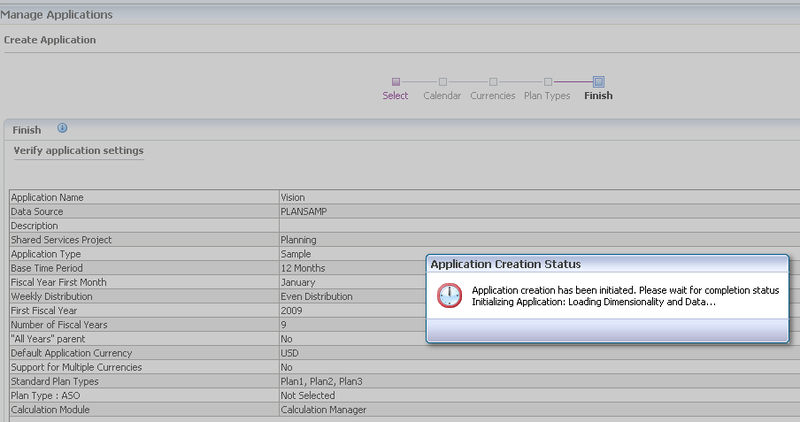 I have always found the sample application that comes with planning to be a bit of a disappointment and it does not really showcase planning functionality very well, there is not much information on what it is about and it has not been updated since the early days of version 9 plus you have to go through the cumbersome process of creating, initialising and then loading the data. 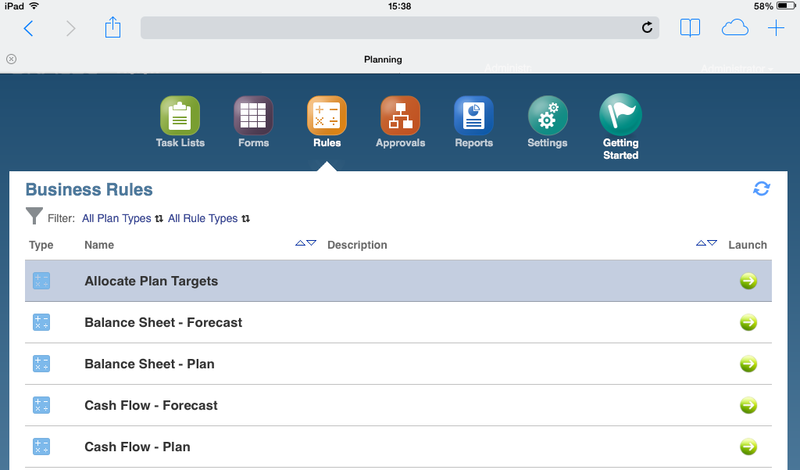 If you are looking to learn planning it does not really give you much to go on and personally I have only really used the application to prove Planning and Essbase are working as they should. 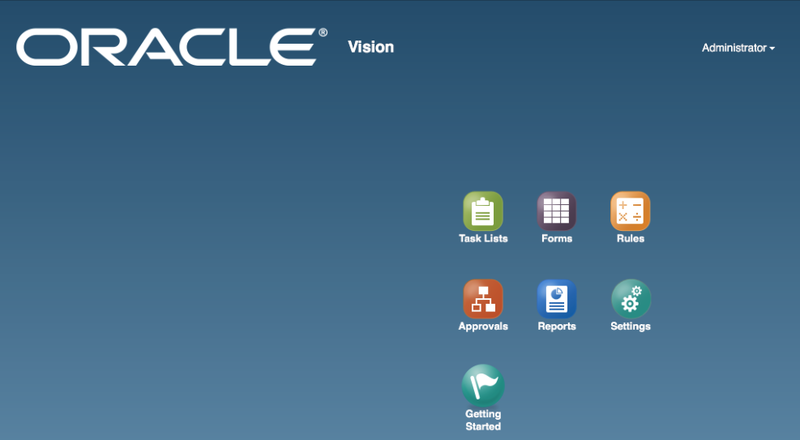 With the release of Oracle’s Planning and Budgeting Cloud Service (PBCS) I think they must have looked at the sample application and thought that is just not good enough so have invested time in giving the application an overhaul. It seems to be Oracle’s strategy is to preview in the cloud and then release to the on-premise world and this looks like what has happened with the 11.1.2.3.500 release. If you have applied the latest patch set update and create a sample application you will instantly notice something has changed. 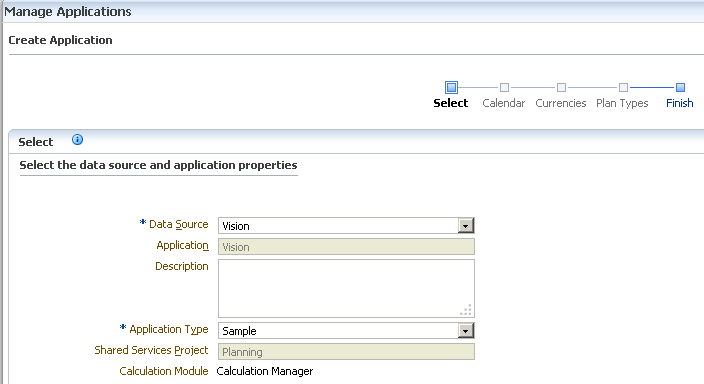 First of all it is not possible to name the sample application anymore and it is set as Vision. When creating the application you will see that it is automatically initialising and creating the dimensionality and loading data, so already a much simpler process than what has come before. When you open the application you will find that it blows the old sample application out of the water and actually uses lots of the functionality that is now available. 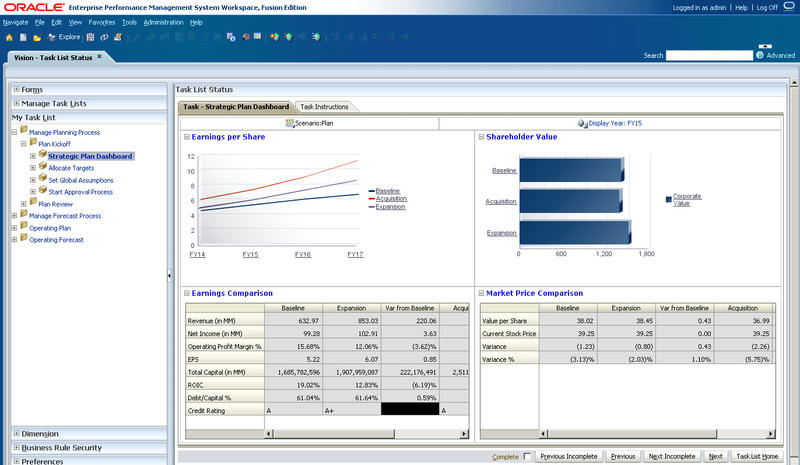 Calculation Manager rules and rule sets. Provisioning applied using two groups. Now if you are thinking that is all well and good but what is the all about well there is a video available going through the Vision application which was originally created for PBCS but there is nothing stopping you watching and learning if you are starting out with planning, the video can found here. If you look into how the sample is initialised then you will find out there is a lot more than just the planning application. After the application has been created if you take a look a migration status report in Shared Services the clue is there that Lifecycle Management has been used. 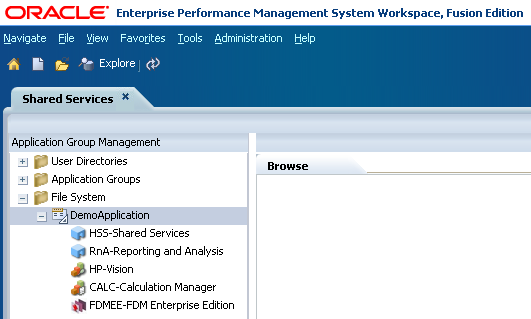 The report indicates not only is there the Vision planning application but artifacts loaded for Shared Services provisioning, Reporting and Analysis, Calculation Manager and FDMEE. The status of the LCM import displays as failed and this is because that four users are provisioned against two planning application groups but the users are not the import LCM files. These users can be easily added and provisioned. Depending on what products have been installed the import could fail for other reasons so instance say FDMEE has not installed then the import will fail, though it is worth pointing out this does not stop the other LCM artifacts from being loaded which means the planning application should be created successfully. This means the zip file can be simply copied over to the LCM import/export folder and then will be accessible from Shared Services. So basically it is possible to create the sample planning application directly using LCM or import any of the available artifacts in again. Much more impressive than what has previously been available. If Financial Reporting has been installed and the planning sample application created then financial reports and books should be available from Workspace in the Vision folder. The reports are all using a planning connection to the vision application. 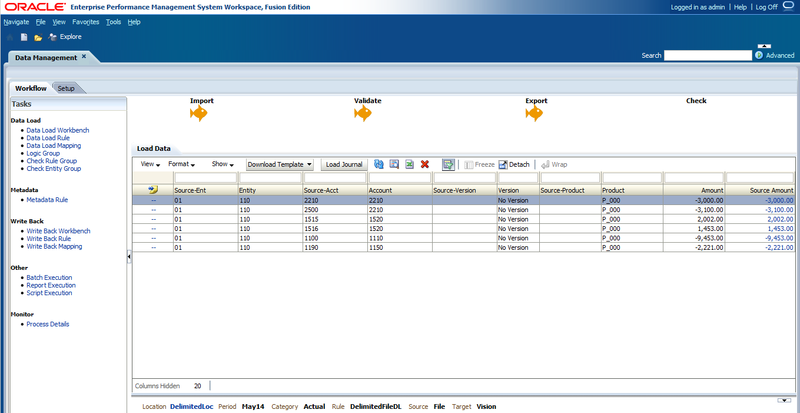 All the rules that are part of the sample application can be easily accessed through Calculation Manager. 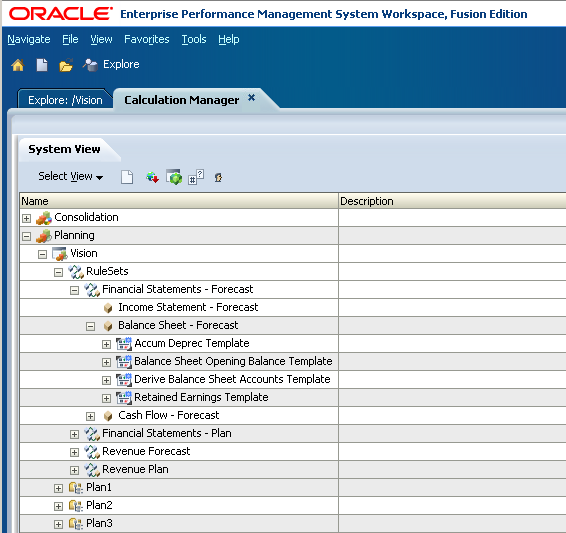 You will also see a piece of functionality that is now available in Calculation Manager that has been passed down from the Oracle cloud offering. 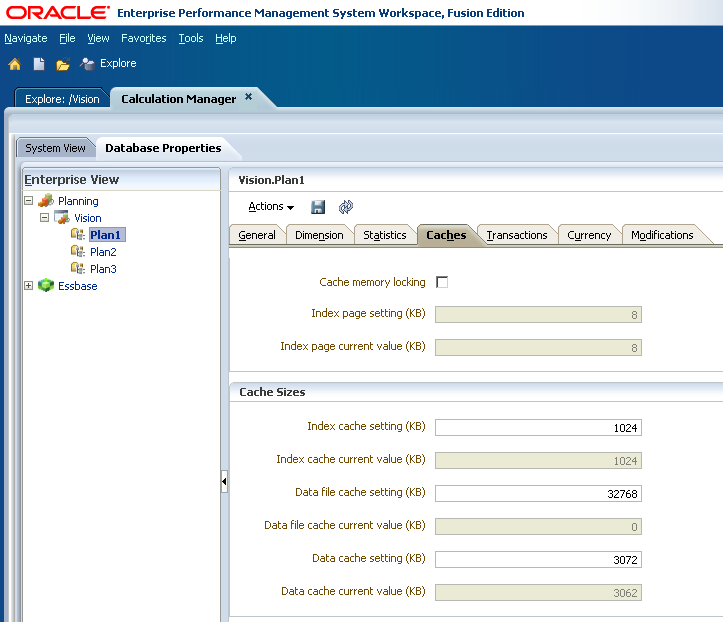 As there is no EAS available in the cloud there needed to be a way to manage some aspect of the Essbase databases like caches, dense/sparse settings so these were built into Calculation Manager. If FDMEE has been installed then the sample planning application also comes preconfigured and with a file data load set up. Unfortunately I couldn’t find a load file but it only took a few minutes to create one and then load to FDMEE and push into the planning application. I created a quick planning data form to test the drill-through functionality. 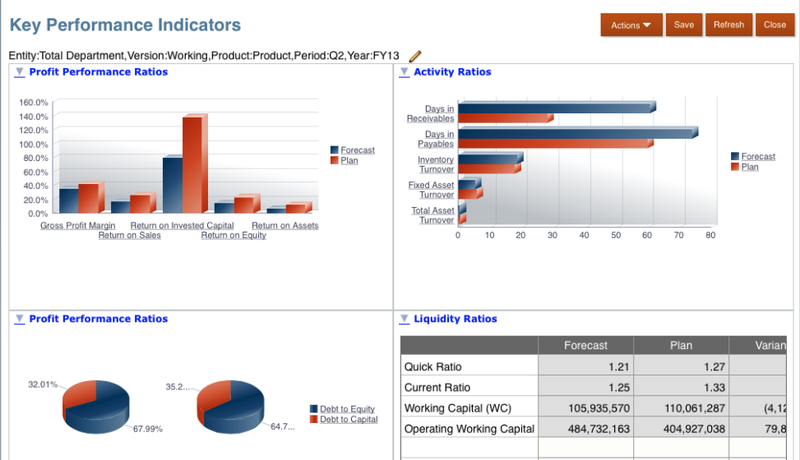 Now it is possible to drill-through from planning to FDMEE and view the data that was loaded. Add the forms/tasks/rules you want to be accessible from tablets. The Forms, Task Lists and Rules that were enabled in the planning should now be available. 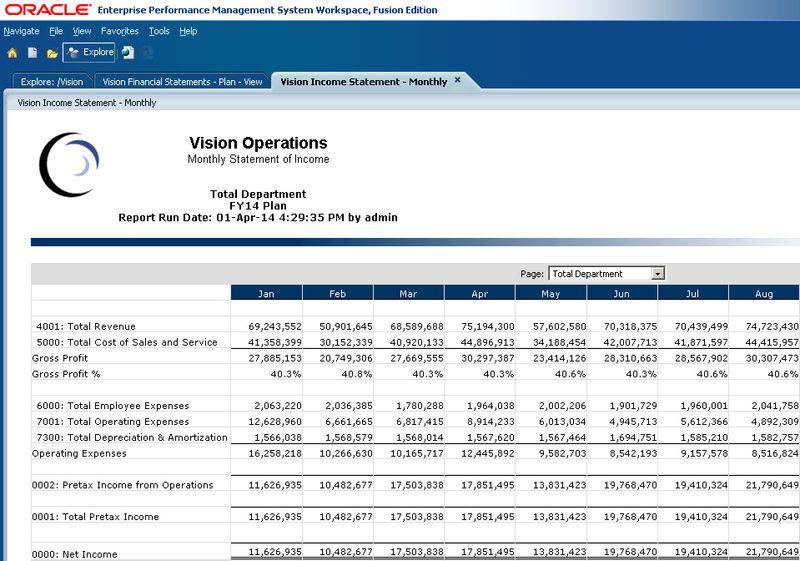 To access Financial Reports snapshot reports have to be created first if you want to view them through the tablet. I must admit the charts do look quite impressive on an iPad. I am not sure if I would want to go through the pain of entering data through a tablet but I am sure it will impress lots of people. 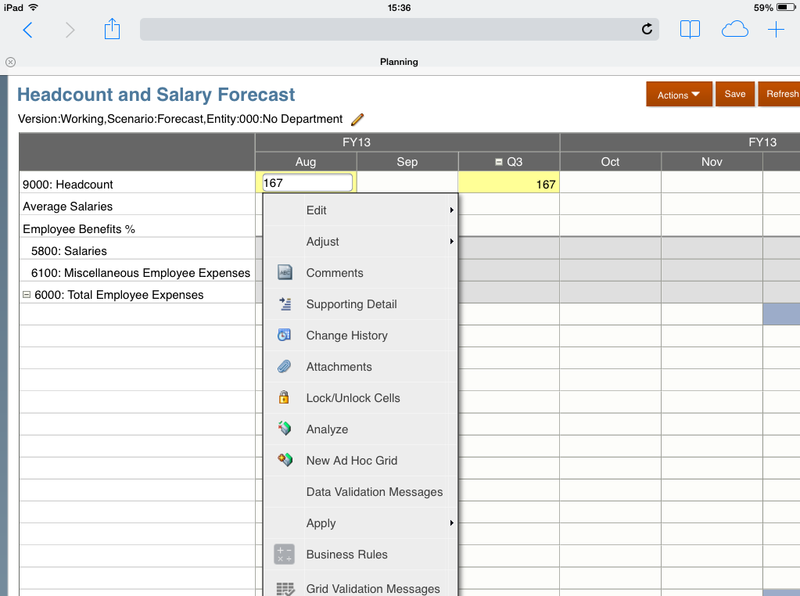 It doesn’t look like drill-through to FDMEE is possible yet from a tablet. If you want to test out the approval and workflow functionality using the new EPM mobile app then just head off to the either the Apple app store or Google Play store and download. So lots of reasons to move to 11.1.2.3.500 and for me personally makes life much easier for testing out functionality is working as expected and integration between products is in order. Also if you are new to the EPM world and are looking to learn then now is the perfect opportunity.